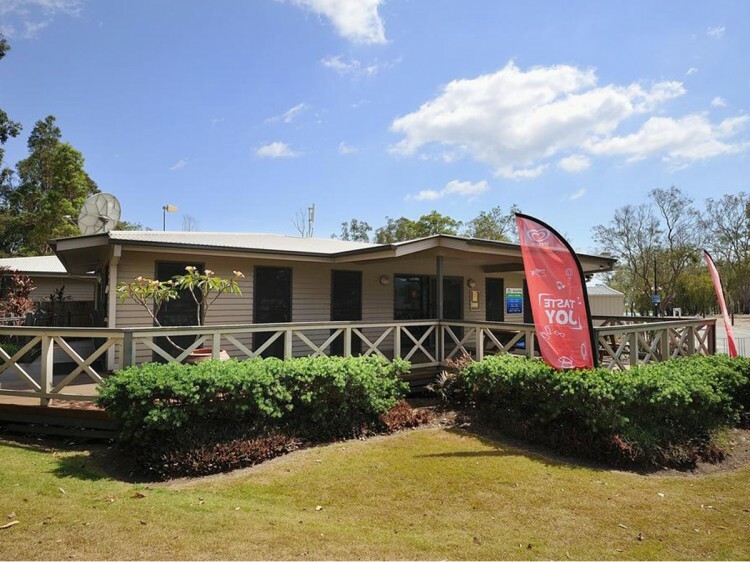 Lake Somerset Holiday Park is the perfect base to explore the beautiful Valley of the Lakes. 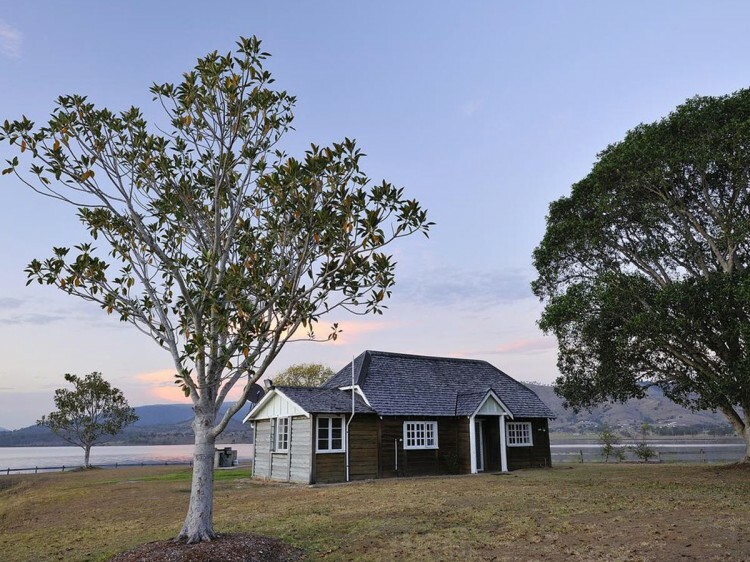 The historical township of Kilcoy is situated in an idyllic rural landscape on the D’Aguilar Highway. The highway has a diverse and picturesque landscape, ranging from rolling farmlands and rugged mountain ranges to stunning forests. 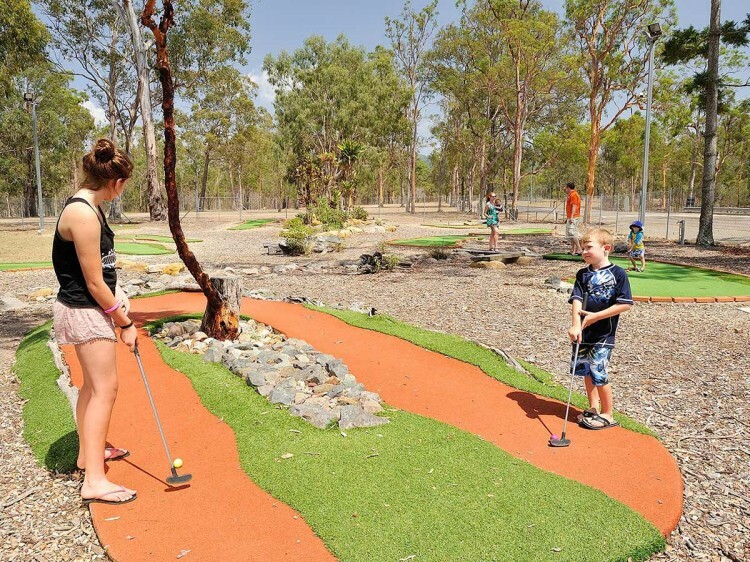 There is something for everyone in the Kilcoy area from wineries, to craft shops for the creative, horse races, festivals, 4WD courses, and the infamous ‘Yowie Park’ for lovers of all things curious. The rustic log cabin sleeps 8 with a double bed and 3 bunk beds in an open-plan area. The living area contains a sofa, TV, DVD player and portable heater. The kitchen area contains a full-size fridge/freezer, sink, microwave and gas stove/cooktop. The large kitchen table offers plenty of room for the whole family. 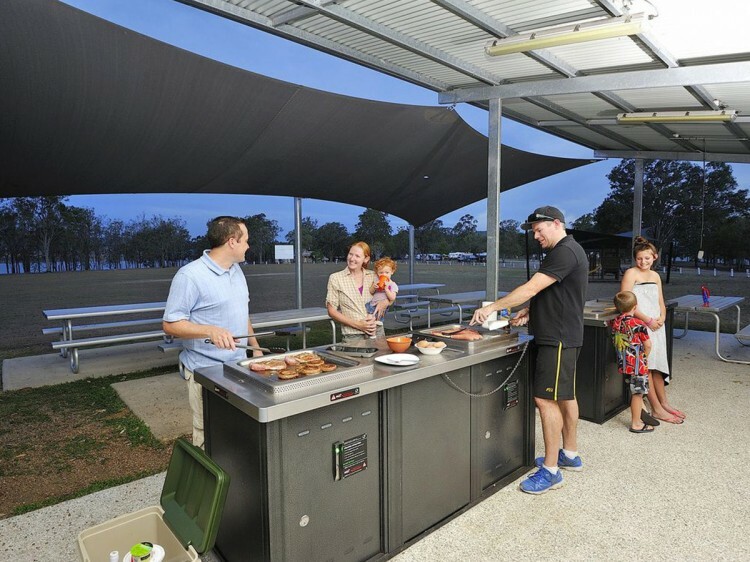 If you prefer to cook outside, there is a gas barbecue overlooking a beautiful backdrop of the lake. The first style of villa has 1 queen bed and 2 singles beds or 2 queen beds on request. The second style of villa has 1 queen bed in one room and a second queen bed with a single bunk over the top in the second room and sleeps 5. Kitchen for food preparation and private facilities of the latest standards. Air conditioned and private, this is your home away from home with FREE WIFI.